This Magnetic Equipment can attract fine iron & iron oxide impurities from a distance of 50mm without any problem. Our ranges magnets have a wide usage in Food Chemicals, Refractoriness, Minerals and many more industries. These heavy-duty magnetic equipments are especially designed for both heavy duty and normal applications. These separators are known for their precision designs, low operation cost and long service life. The process is achieved by applying an electrical current to a wire mesh or matrix, thereby inducing a magnetic field. 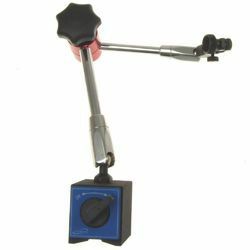 We offer a wide range of Magnetic Stand. 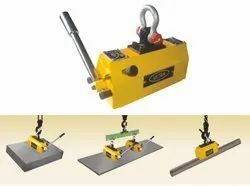 Electropermanent Magnetic Lifter For Plates is used to load plates horizontal to vertical or vertical to horizontal. 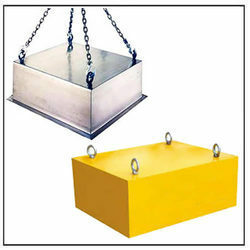 We are the leading manufacturer and supplier of Suspension Magnet.